The history of the Cambodian church is a story of periods of growth alternating with periods of persecution. Cambodians who have turned to Jesus Christ from Buddhism or animism have been accused of betraying their country. In 1555, Roman Catholic missionary Gaspar de Cruz visited the capital, Longvek, at the invitation of King Ang Chan I. The first Protestant missionaries arrived in 1923, but by 1970 there were only about 700 Christians in Cambodia. In 1965 Prince Sihanouk had expelled all missionaries in an anti-CIA campaign. Between 1970 and 1975 missionaries were permitted to return and the church grew to about 10,000. Then came Year Zero. By 1979 only about 200 Christians remained alive in Cambodia. In 1990, when the church emerged from its most recent wave of persecution and was given government permission to function openly, there were ten evangelical churches in Cambodia. Today, according to The Joshua Project, 3.2% of Cambodia's 16 million population (about half a million), are professing Christians and the evangelical church is growing at 8.8% a year. Although the church in Cambodia is growing, it lacks many of the resources that Christians in the West take for granted, such as trained pastors, Bibles, Christian literature and well equipped church buildings. Many church workers need a paid job outside the church in order to support their families. 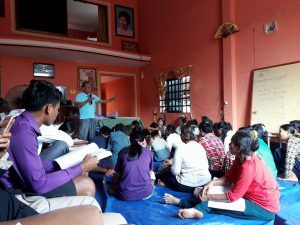 Bible schools, Christian radio stations, recordings of Christian music, teaching on video, Bible distribution and theological training programmes are all helping to equip Cambodian Christians to grow in their faith and share the good news of Jesus Christ. Does the Cambodian Church Need Help? CCC's understanding is 'Yes' — but help of the right kind. We believe that the worldwide church needs to share more of its wealth — spiritual and material — with its brothers and sisters in Cambodia. Cambodian Christians are committed to planting new churches among every people group in Cambodia. 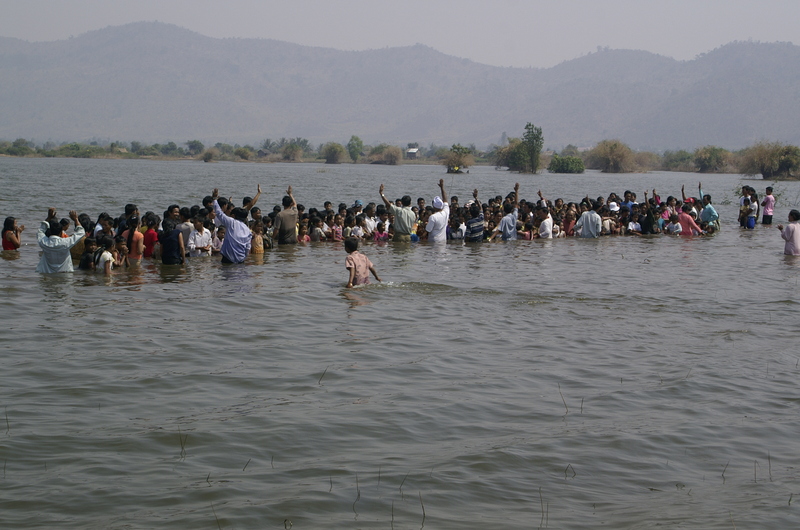 They want to see a group of Jesus’ disciples in every village throughout Cambodia by 2021. But they could do so much more if they had more resources: money, literature, equipment, transportation.... And Cambodian church leaders and members are hungry for teaching, training and mentoring. We believe that the role of the missionary or partner from outside Cambodia is to equip, train and encourage Cambodian Christians, who can then get on with the job of sharing the gospel and planting churches amongst their own or related people groups. We, and we trust other Christian organisations working with the Cambodian church, aim to serve and submit, not to lead and control.